HypoCol is an all-natural preparation derived from a well-documented traditional remedy that has been used in China for over 1000 years for circulatory health and as a food preservative. 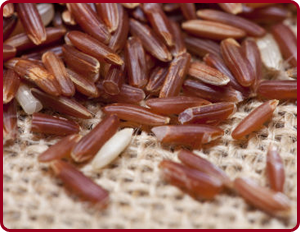 HypoCol contains 100% proprietary Red Yeast Rice (known as "Hong Qu" in China) produced by fermentation of red yeast of the species Monascus purpureus Went on premium rice. The proprietary ingredient of HypoCol™ capsules has been clinically proven for safety and efficacy in well-designed clinical studies involving thousands of subjects in the USA and China. HypoCol is recommended as part of your cholesterol management program that should include a healthy diet, regular exercise and stress reduction regime. HypoCol is specially recommended for use by healthy adult men and post-menopausal women concerned about maintaining desirable healthy cholesterol levels naturally. It is suitable for individuals whose total serum cholesterol levels fall within the borderline risk bracket. Why Choose HypoCol Plus Gymnema Sylvestre? Gymnema sylvestre (Gymnema sylvestre Leaf Extract) has a long history of use in India’s Ayurvedic medicine in supporting sugar levels. Gymnema sylvestre leaf extract contains substances that reduces the absorption of sugar from the intestine. Its common name, gurmar, means “destroyer of sugar”. Now with this combination of two traditional ingredients in a single capsule, you can achieve your healthy lifestyle with ease!